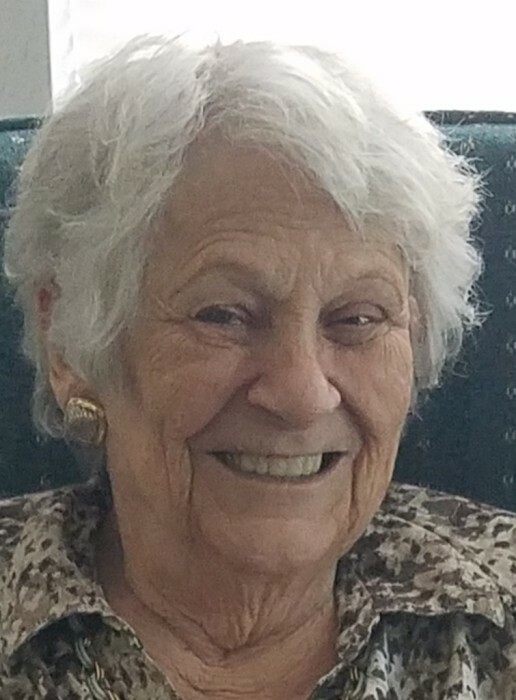 Carol Jean (Peterson) White of Toledo passed away Friday, February 1st, 2019 at Ebeid Hospice surrounded by her family after complications of a stroke. Carol was born on August 29th, 1934 to Bertle A. and Betty O. (Eves) Peterson in Detroit, MI. She is beloved mother of daughter Sandy (Mary McGuire) and Ken (Laurie) White. Loving grandmother of Alyssa (Jude) Fonguh, Greg and Rebecca White and great-grandmother to Austin Fonguh. She was preceded in death by her parents, sister Joyce McGrath and brothers James and William Peterson. Carol worked in the banking industry for many years and retired from Standard Federal Bank. She was a member of Epworth United Methodist Church. She enjoyed spending time with her family and friends, playing euchre and bingo. She also was an avid Detroit Tiger and Red Wings fan. The family would like to thank the amazing staff at Toledo Hospital MICU and Ebeid Hospice for her amazing care. Family and friends may call at the Reeb Funeral Home, Sylvania, OH Tuesday, February 5th from 4:00pm – 8:00pm. The Funeral Service will be conducted at Epworth United Methodist Church, 4855 Central Ave, Toledo, OH 43615, Wednesday, February 6th at 11:00am.